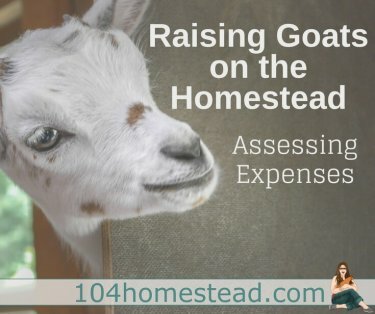 A homesteader strives to live simply, but the term simple living is actually a bit of a misnomer. Simple living can sometimes be rather hard. I mean, lets be honest, which is easier: buying a loaf of bread or making your own? But with the right tools it can be a bit easier. No matter what, it’s always more rewarding to make it yourself. 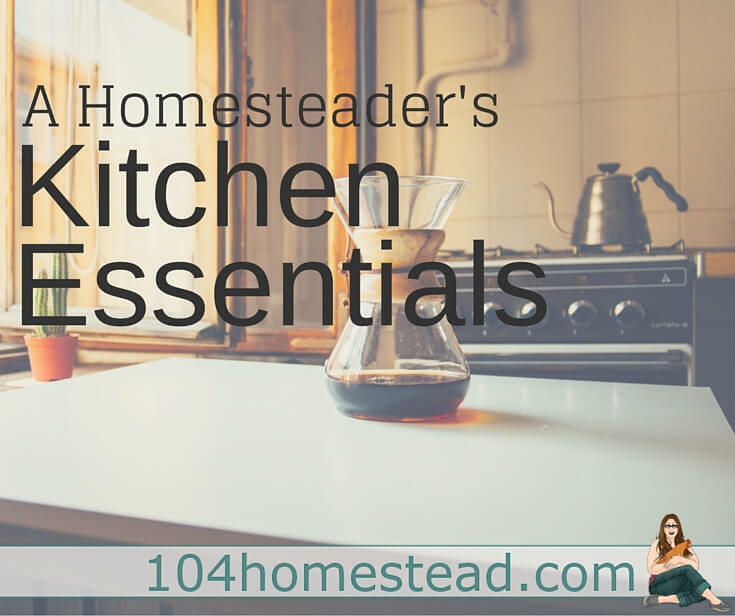 “My food processor…Love that thing.” -Amanda S.
Food processors get a lot of use in a homesteader’s kitchen. 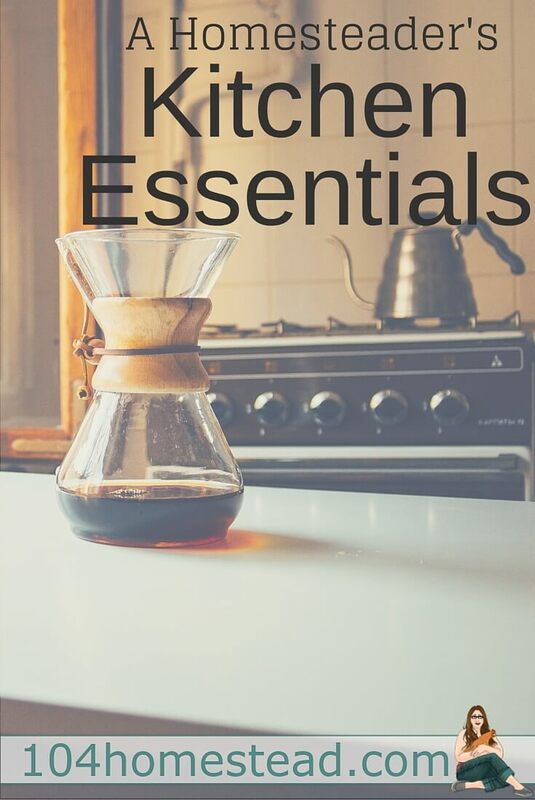 They can be used to puree soups and sauces, prepare salsa, pesto, dips and spreads, grind nuts and grains and so much more. So what should you look for when purchasing a food processor? Go for large capacity (at least 9 cups). You want a wide feed tube so you can easily feed larger pieces of food through. Simple controls. Sometimes less is more. You may want to consider ones with extra attachments like a dough blade or slicer/grater discs. 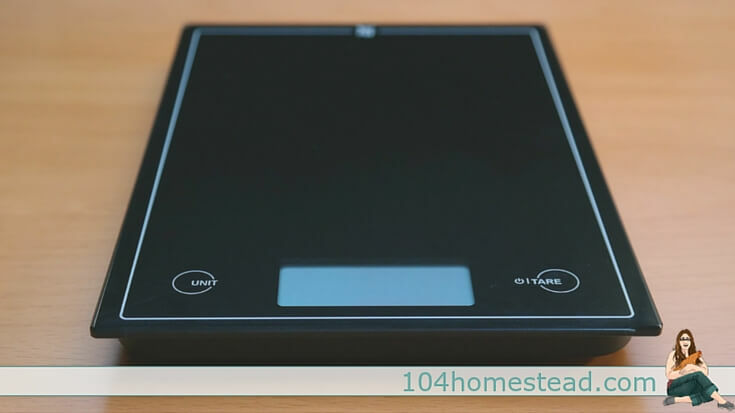 “A kitchen scale.” -Patricia D.
Make sure it’s water-resistant. Damp foods are a reality and some scales have a no-wetness policy. Tare Function: This function allows you to reset the weight while you’re measuring so you can keep measuring more ingredients without taking off the previous ones. Auto-off may not spring to mind, but after you’ve killed the batteries twice in one weekend, you’ll appreciate this feature. 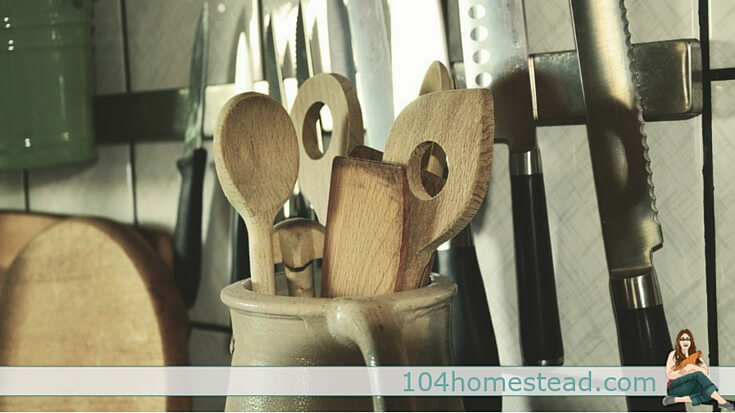 “My wooden spoons.” -Marion H.
In addition to the nostalgia associated with wooden spoons, they are hard workers that definitely earn their keep in a homesteader’s kitchen. The handles are comfortable, they last forever (mine are older than I am) and they don’t conduct heat when you’re cooking on the stove. Wooden spoons also keep your cookware at its best. You don’t have to worry about sticking or scratching with these spoons. “I would have to say my mixer.” -Ann H.
A good stand mixer can not only save your arms, but it opens you up to multitask in the kitchen. Imagine the pizza dough kneading in the mixer while you prep the homemade pizza sauce. So what should you look for in a good stand mixer? 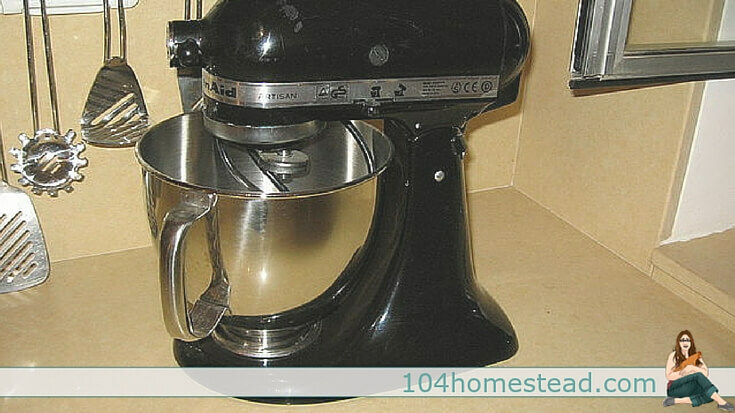 If you cook for a large family or make bread often you’ll want a large capacity mixer. If not, save money and go for a smaller and less cumbersome model. More wattage doesn’t always mean it has more power. Watts are not as important as getting the correct capacity. Locking tilt head and splash guard are worth a little extra. 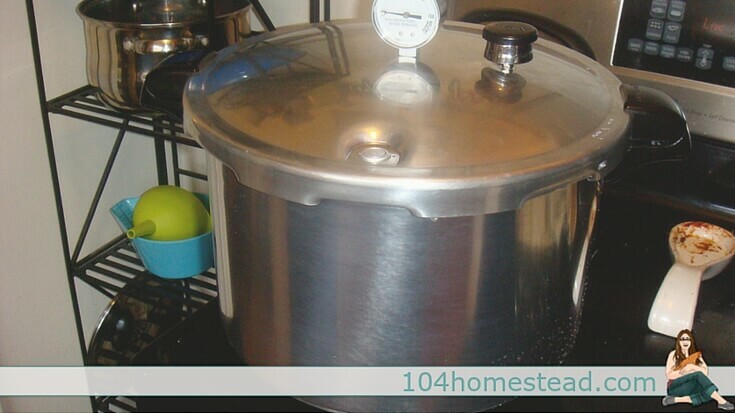 “A good steam pressure canner. Love mine and use it a lot. Well worth the investment.” -Ann G.
Tall is nice because you can stack your jars. Select a regulator with a maximum PSI of 15 (the standard for canning). Get one with a cooking rack. The rack allows the water to flow and reduces risk of jars breaking. “Sharp knives are essential to me.” -Joy H.
You also want to get a sharpening steel, knife-honing stone or electric honer. 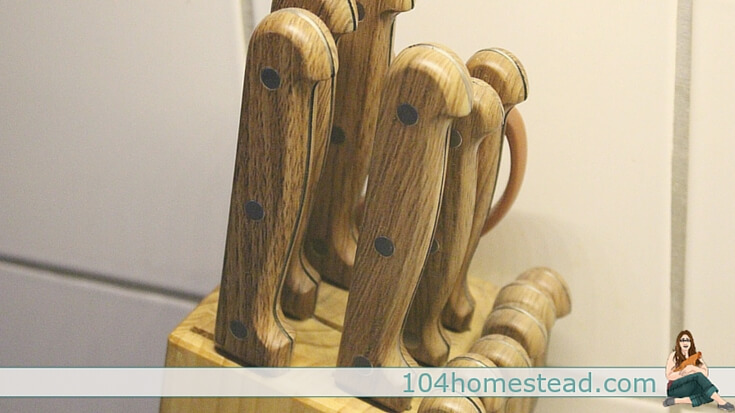 I love my magnetic knife rack for storing my knives. Make sure the knives you purchase have the metal (steel/titanium) all the way through the hilt. You want them to be fairly heavy and well-balanced. In addition to all the great uses Nanny Goat Acres mentioned, you can even use your stock pot for non-traditional uses. We dye wool with ours. Stock pots are my favorite thing for pasta because it allows for enough water that the pasta can move around freely. 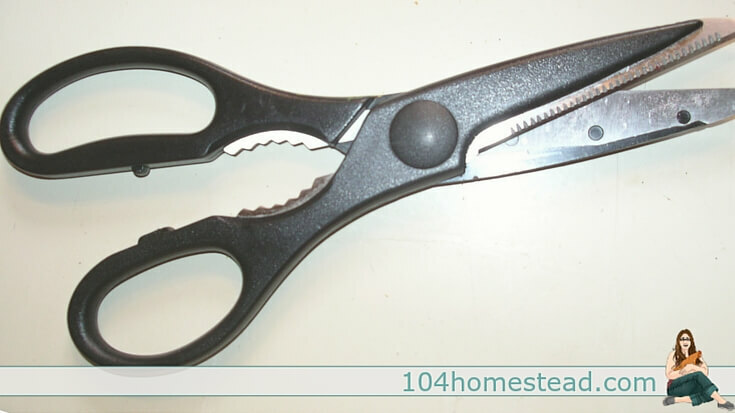 “My kitchen shears can de-bone any animal and still cut silk without a tear.” -Tish B. Kitchen shears serve so many purposes. You can trim herbs, de-bone meat or open tricky packages (just be sure to sterilize between uses). Many come with a bottle opener between the handles. 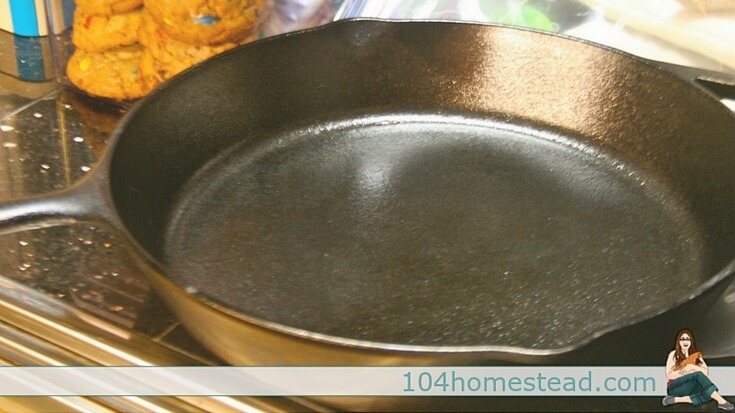 “High quality cast iron cookware.” -Linda T.
No homesteader’s kitchen is complete without cast iron cookware. 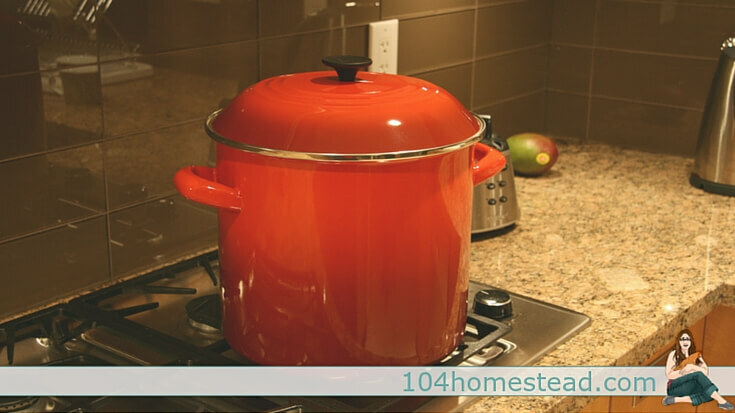 After the initial investment, you’ll never have to buy cookware again. Cast iron cookware is one of those things that gets passed on from generation to generation. And don’t forget, you can always buy “vintage”. “A mandolin for when you don’t need to drag out, then wash, the 14 cup food processor or the power goes out.” -Faith P.
Whether you’re making your own potato chips or your pickling sliced cucumbers, a mandolin makes for easy and uniform work. Most mandolins come with a variety of attachments. 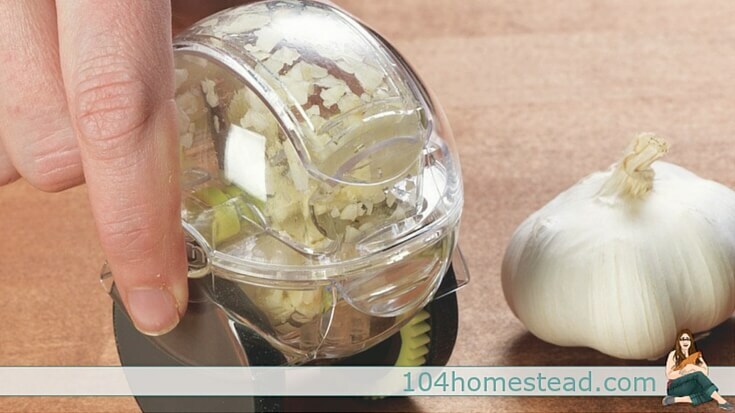 “I have a handy garlic chopper that is AWESOME. 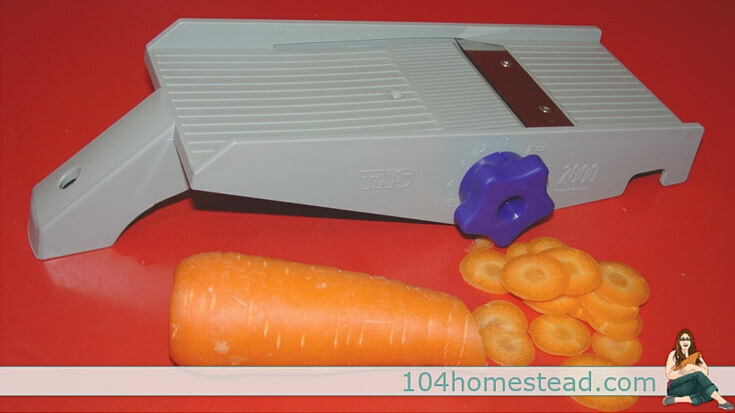 We use a ton of garlic and this thing has made mincing it so simple.” -Andrea P.
This odd little kitchen tool is amazing. Just peel, fill and roll the little chopper and out comes perfectly chopped garlic. 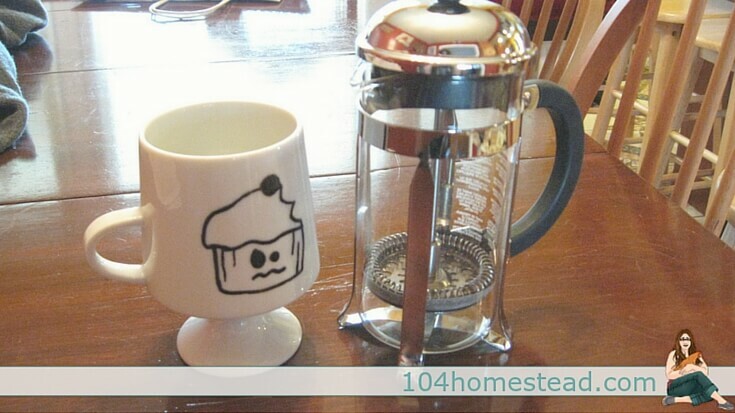 It has a removable blade and is dishwasher safe which means it’s much easier to use than most choppers. Get one just like mine and you’ll never be without coffee again. What tool can you not live without? Comment below! If yall are homesteading, you’d better think about less electric tools and more tools that you can use without power in case of storms, disasters or the zombie apocalypse. Food processor, stand mixer??? Seriously? You’d BETTER HAVE THAT CANNER. Thanks so much for sharing and I am looking forward to learning more! I second the immersion blender. Another great little gadget is the 5 bladed herb scissors. Great for quickly cutting up fresh herbs or green onions, etc. The spiral gadgets for making zucchini noodles is great also. Are the herb scissors worth it? I’ve been eyeballing them for a while now. Jessica, I was given an immersion blender this year, and it has since become something I wouldn’t want to give up. It does magical things to hot chocolate, and it saves a great deal of time AND mess when pureeing soup. Just stick it in the pot and get ‘er done! Doesn’t take up much space either. I love my immersion blender! It took a few times to figure out how to use it without splattering, but I’ve got the hang of it now. I started to use pots and pans silicone lids (spill stopper lids) and now it never boiling over my pots. And Thanks again. Really Love it! Your photo that goes along with this article, the stove with the girl, is the stove that I have in my kitchen!! I was lucky enough to snag it on Craigslist and just adore it! I just found your site through Pinterest and love it. Oh, I love that stove. My kitchen is retro bad, but I’d love to transform it to retro chic.